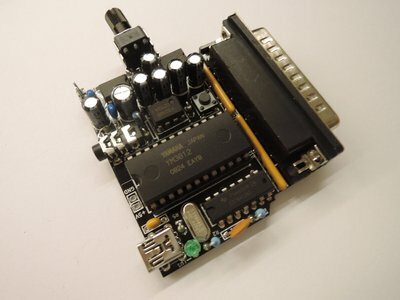 OPL2 'adlib' FM synthesis sound card for the parallel port. Available as High quality solder kit. - includes authentic legendary Yamaha OPL2 chips. A limited amount of kits is available. For presoldered boards, have a look at OPL3LPT. See this soldering tutorial. The components exactly match the description. Compatibility notice Dec 15th, 2018 : To solve compatibility issues with certain old PC types like PCJr, a 1k pull up resistor can be added to the strobe pin. All kits sold, from now on, will include this additional 1k resistor. Find the details here.